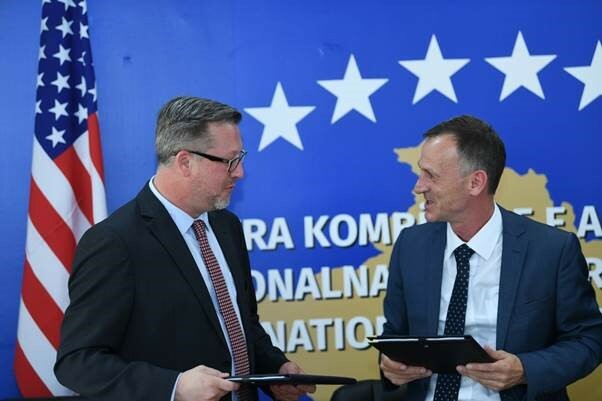 Today, Mission Director at USAID Kosovo, James Hope and Auditor General Besnik Osmani signed a Memorandum of Understanding (MoU) to strengthen joint efforts to combat corruption in public procurement in Kosovo. 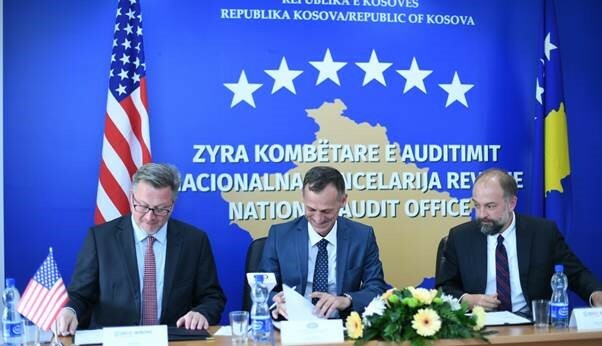 The MoU establishes the guiding principles of cooperation between the National Audit Office (NAO) and USAID, through the activity of Transparent, Effective and Accountable Municipalities (USAID TEAM) in Kosovo. Very often in Kosovo, citizens, civil society organizations and the private sector report that public funds are miss-oriented, endangering the quality of public services, undermining citizens’ trust and discouraging foreign investment. An effective procurement system includes mechanisms that take care of public funds and minimize loss of revenues by controlling fraud, loss, and misuse. Addressing these weaknesses in the system is very important for Kosovo. USAID Activity regarding Transparent, Effective and Accountable Municipalities will in particular support the NAO in its efforts to build up fraud detection capabilities and strengthen other mechanisms to minimize revenue loss by providing better services for citizens. Further on, improvements in public procurement increase citizens’ satisfaction with government work and strengthen the trust between government and citizens.